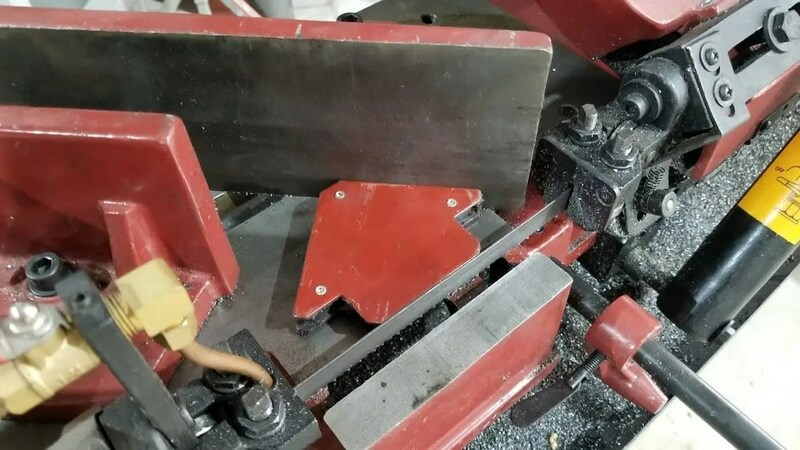 If you happen to own any sort of metal cutting bandsaw you’ve probably experienced the frustration of setting it up to do 45 degree cuts. The guide on the bandsaw is always off by just a little bit, which makes for annoyingly inaccurate cuts. But there is a $5 solution for that! A cheap welding magnet from Amazon, Harbor Freight, Northern Tool, or just about anywhere. If you’re a welder you probably have a dozen just laying around! The trick is simple. 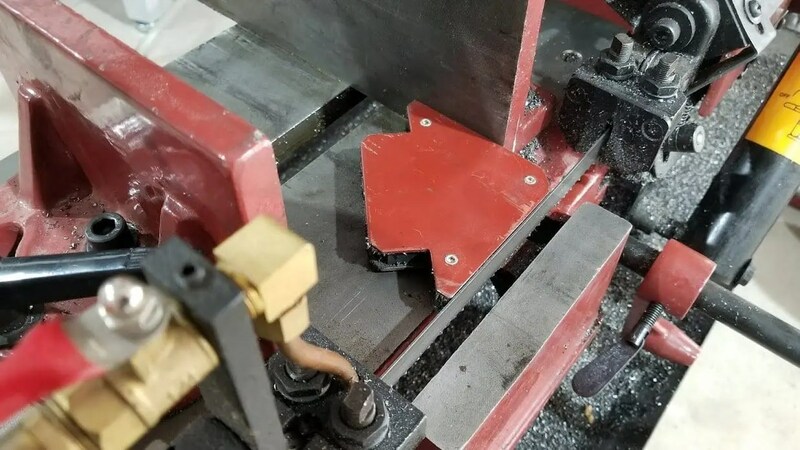 Stick the magnet to your blade and make sure it’s following the natural angle of the cut, then adjust the backrest on the saw to line up with the 45 degree side. Using this method has one other huge benefit. 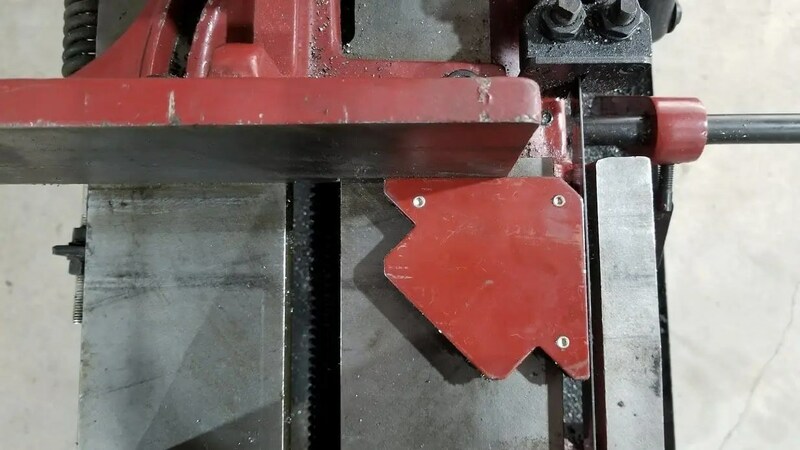 The guide built into the saw may lose accuracy over time if the arm has any play in it, or if the blade moves around a little bit. By using a known 45 degree angle to set it each time you eliminate that problem. 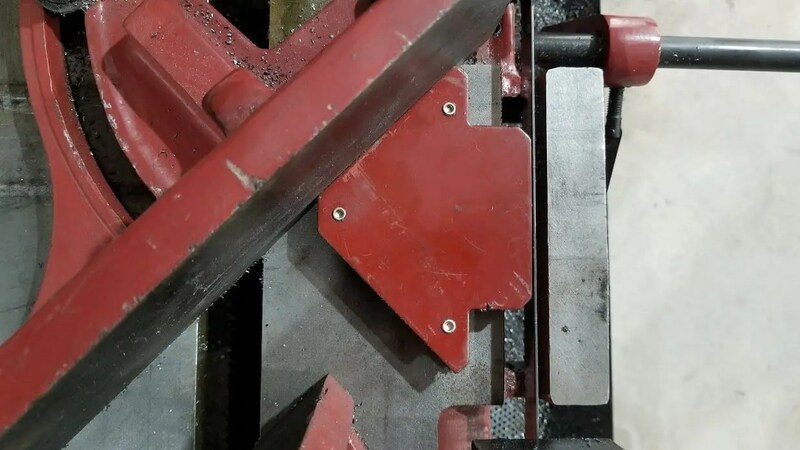 When you want to go back to 90 degrees, just reverse the process by using the other sides of the welding magnet! I’ve been using this method for a long time and it works like a charm! Previous post: Making the World’s Best Grill Grate!